Will Uncle Sam undo all of my plans? Seemingly changes in the tax code can significantly impact many areas of personal finance, including how much you kee p in your pocket. That’s why Buffalo First Wealth Management, LLC has established tax strategies, a dedicated team of tax professional whose job it is to keep abreast of changing tax law and how it impacts your financial future. These experts provide proactive tax planning solutions and preparation services through innovative ideas and expert, timely advice. 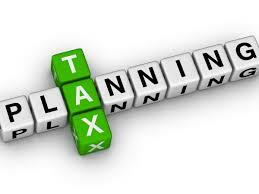 Buffalo First Wealth Management, LLC team are year-round to provide seamless tax service through proactive tax planning. Taxes are at the heart of every personal financial plan, affecting everything from estate planning and investments to cash management and executive benefits. Contact us today to help prepare you federal and state income taxes by one of our tax professionals at taxprep@buffalofirstllc.com to schedule your appointment.